Home » Heathy Bits » Cure the Bruise! If you have been training for awhile then you may be familiar with the old mate thats been hiding behind your skin – the dreaded bruise. Thats right, it has made its appearance on your skin perhaps ruining your plans for the beach on the weekend and causes never ending explanations to friends or even strangers that you have not been in a fight and are perfectly healthy. 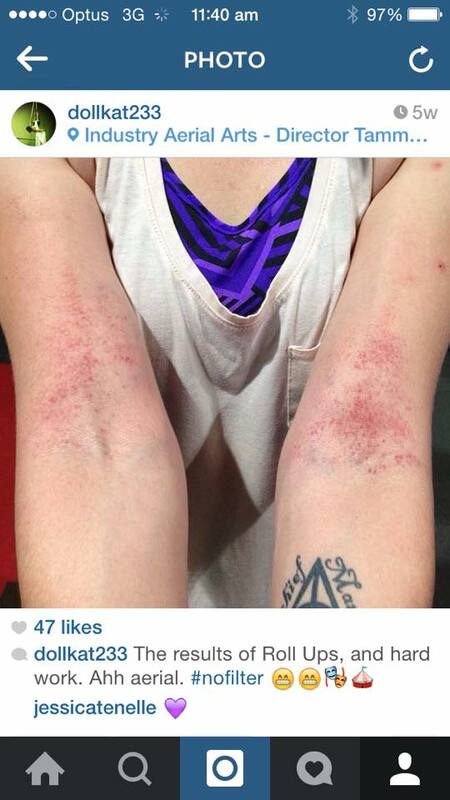 Most people wonder ‘why the hell would you do it if it does that to your skin?’ The answer is simple; We love aerial! And we are not going to let a little bit of black discolouring or grazing stand in the way of achieving our goals! But in some cases they can be uncomfortable, ghastly looking and just downright hurt and taking care of your skin in aerial is important to prevent further injury or scaring so knowing what helps can take away some of that discomfort and help your limbs heal. A bruise is a traumatic injury of the soft tissues that results in breakage of the local capillaries and leakage of red blood cells. In the skin, bruising can be seen as a reddish-purple discolouration that does not blanch when pressed upon. This discolouration leads to the classic “black and blue” appearance. Initially a fresh bruise may seem reddish in colour and then turn blue or dark purple after a few hours. After a few days of healing, they usually turn green which is around the time people want to start poking them. 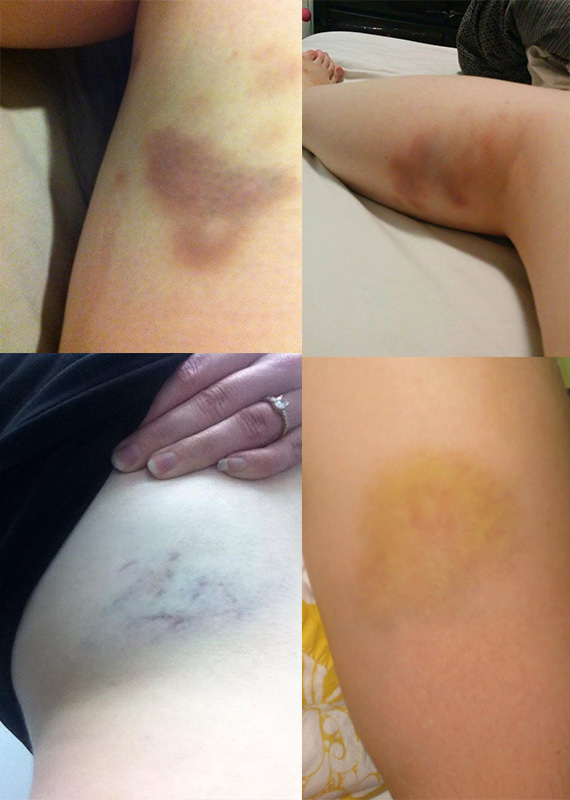 Generally bruising is skin deep and because the skin hasn’t been broken the chances of infection are low, however If you have received a bruise as a result of an injury such as a fall and is accompanied by swelling and extreme pain you should seek medical advice on what to do. If your bruising takes longer than 2 weeks to heal, it would be wise to go to a doctor to find out if their is an underlying factor as to why this is occurring. If your a bit of a veteran and know your body well, there are some simple medications you can try to help them heal. Treatments can be found at most health food stores and chemists and are effective in helping with the swelling and relief. Comfrey cream retails at approximately $15 and can be bought at most chemists. Comfrey is not only helpful in the healing of bruises and swelling but it can also be used for sprains and bone and joint pain too so its a good all rounder to have in your medicine cabinet. 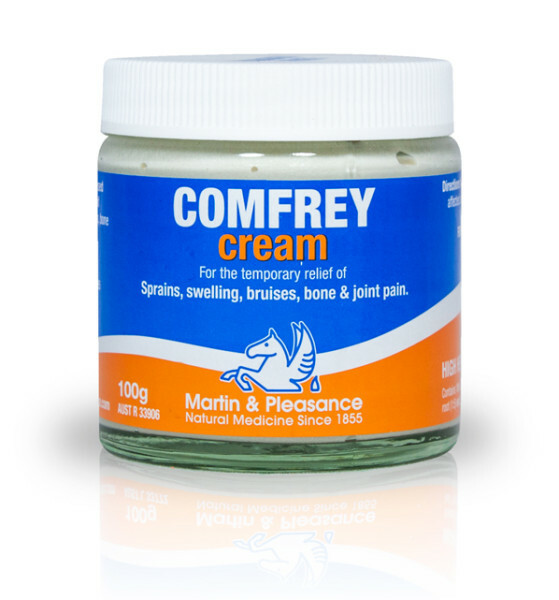 I personally used Comfrey cream on my back after surgery and found it did ease the pain. 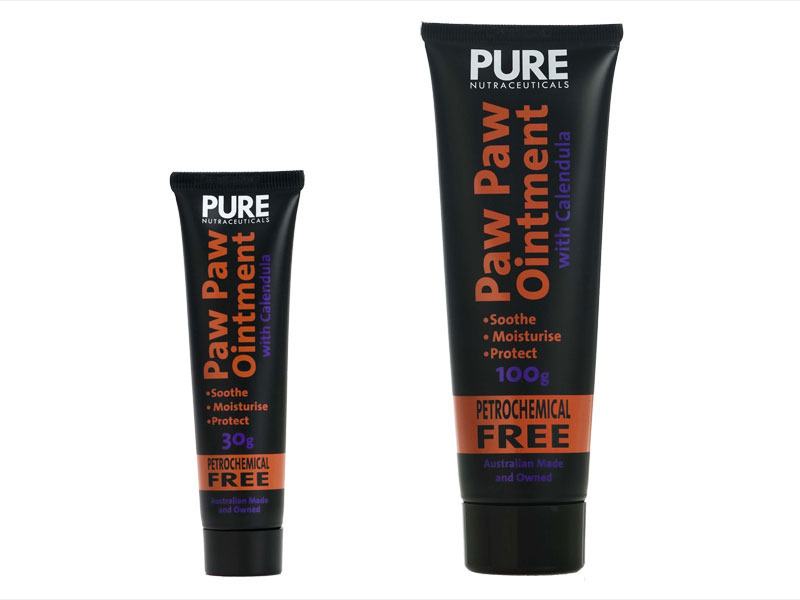 Paw Paw Ointment with Calendula is great for the lovely combination of burn and bruise caused by wraps and drops. Its a little harder to find at chemists and retails at approximately $8 at Shop Naturally. I personally love arnica cream and is also recommended by Tammy Zarb – Industry Aerial Arts for use on your baby black and blues. It retails at approximately $17 and can be purchased at chemist and some health food stores. 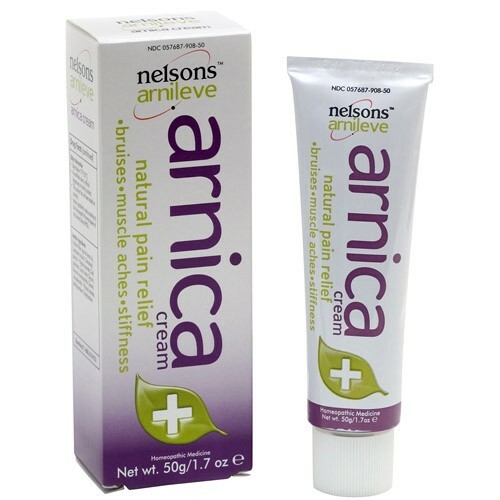 I used Arnica cream when I first started lyra/hoop and it helped greatly with the discomfort of feeling like you have been hit by a truck. There are a few home remedies that you can try and come recommended by Soul Deep Natural Therapy. As strange as they may sound they actually do work and if your on a budget it might be worth a shot. Parsley – Crush fresh parsley and apply it to the area. This will help the bruise heal faster. Witch Hazel – Take a warm bath using witch hazel as it improves the blood circulation and help heal. Ice Pack – Ice is good is the skin is painful and to reduce swelling. While there is no way of actually knowing when we will get a bruise, you can wear long sleeves or long leggings or tights to protect your skin and give it a little padding. Make sure that whatever you choose to do, follow the instructions to a ‘T’ and always consult your doctor if you are unsure. Now get back in the air!